Another new player.. and Alex says he may bring more next week! Fun night on 15 Feb club meet time! Last night, on 15 Feb, we had some new faces as well as some familiar ones playing chess at the ANCC! There was analyzation going on from the recent DeKalb tourney, short games, medium games, and even some Bug House going on! 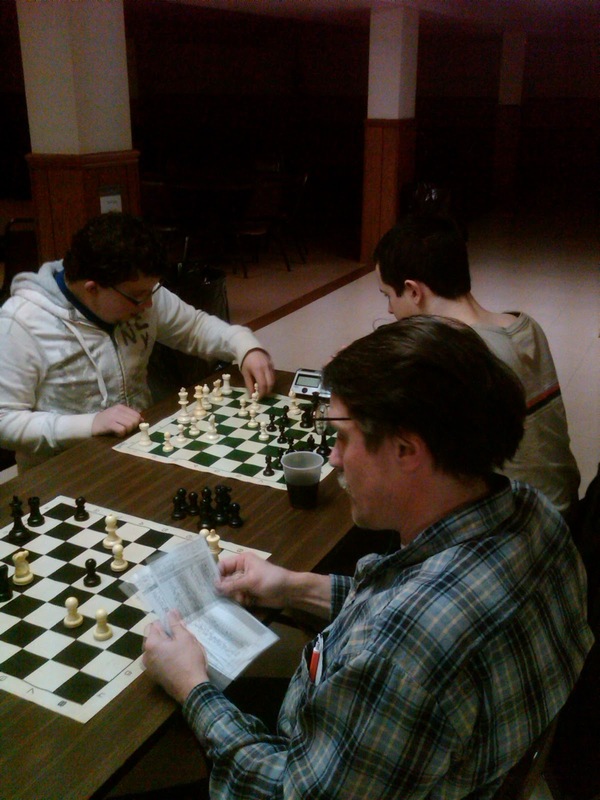 Quite a varied, fun and exciting evening of chess. We played from just in front of 7pm, to midnight! I look forward to seeing this group again, along with newcomers that I found out from Turners (our gracious host) upstairs when I went to close down for the night should be in attendance next Tuesday. 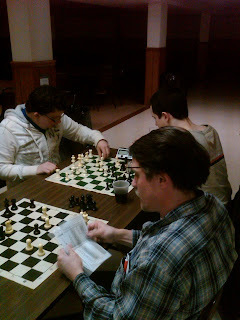 Of course, I hope to see some of the chess players that have participated, but that I have not seen in a couple weeks. They (and everyone else!) are always welcome!! We start at 7pm, and the kitchen upstairs in the Turner Club is open until 8pm, so come hungry. If you don't make it by then, or are still hungry after 8pm, the bar section upstairs always has pizza, several large pretzels, nachos, and I believe now they have hot wings (new). 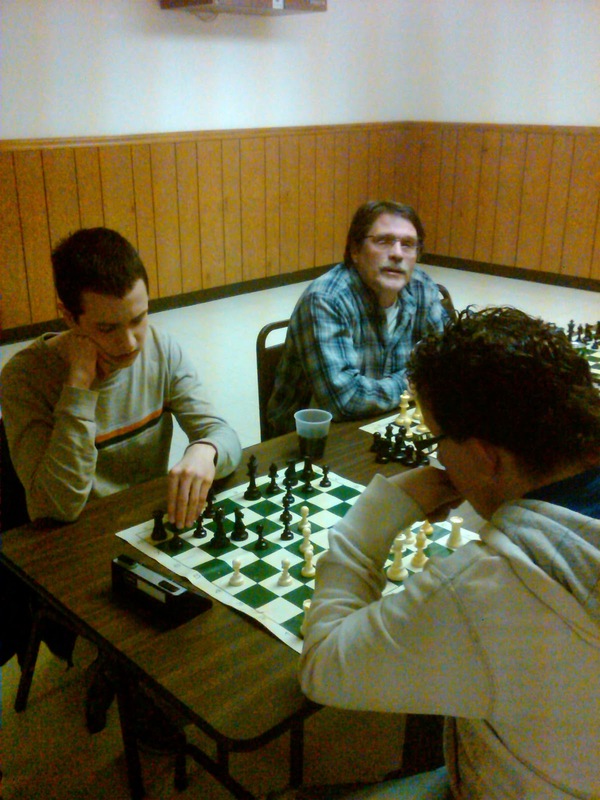 Come on out; meet the group, socialize, discover new lines of chess, and have fun! Hope to see you soon! Old man winter has taken a breather, and given a break from the severe weather that sidelined ANCC last Tuesday. 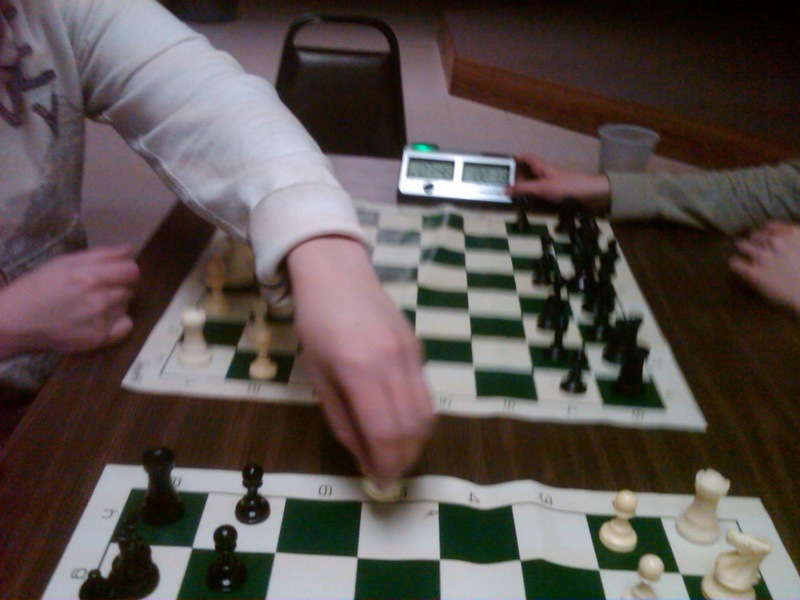 So, we are open for play and hope you will come out and join the fun Tuesday evening at Turners for our next ANCC meeting and enjoy some chess! As usual, I will be at Turners about 5:30 pm, upstairs, and welcome anyone to come early, socialize, and enjoy some dinner before heading downstairs. If you do come early, just ask for me -Darin Link- or say you are a ANCC player and they will either buzz you in, or make the announcement for me. I sit close to the front door and can be there in 10 seconds. If you arrive at 7, or after, you can come downstairs directly using the 'banquet' door. There is a yellow banquet sign, and a stairway at about midway at the front of the building, to the right (south) of the front club door. It's easy to spot, if you look that way. 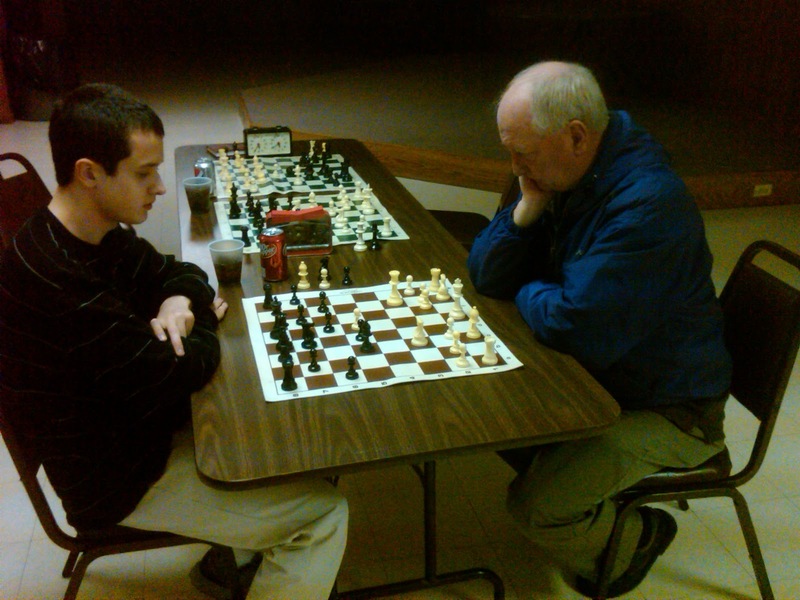 I hope to see all you chess players! We have had a good showing of people, just not all at the same time. See you Tuesday!